﻿ I’m Invited to an Assessment Centre, But Why Should I Care? Home Tips & Tricks I’m Invited to an Assessment Centre, But Why Should I Care? 09 Nov 2011 Print I’m Invited to an Assessment Centre, But Why Should I Care? If you have already done job interviews in a special setting, it is likely that your prospective employer has used assessment centres to evaluate your skills and determine if you are a good fit for the job. Quite simply, an assessment centre uses a series of evaluation methods to assess interviewees. 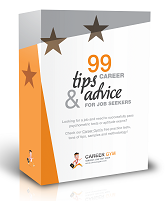 These methods can include simulated job situations or psychometric testing. Typically, an assessment centre tests six candidates at a time and can last anywhere from a day to three days, during which candidates participate in several stages of assessment testing. In all cases, the evaluations are overseen by trained assessors. They observe each candidate and take notes on performance, behaviour, and skill level. These notes are then discussed and a final assessment is made, taking into account scores from other evaluation tests and personal interviews. A strong advantage of assessment centres is their ability to test a candidate based on how they could perform in their future job. This is helpful in determining candidature for jobs which are unrelated to the interviewee’s current job. It is also a great method of providing insight into actual responsibilities and requirements of the role. Many assessment centres also offer test preparation services for candidates that are entering the job market and want to be ready for any type of job aptitude test they may have to complete. Assessment techniques and methodologies vary across organisations, with the exception of oral exercises and in-tray exercises. In-tray or in-basket exercises involve responding to emails, meetings, creation of organizational papers, memos, and other writing tasks. Candidates are given a hypothetical work related situation without any details about the role. In-tray exercises are one of the most successful assessment techniques used by organizations. In an oral exercise, a candidate’s presentation and speaking skills are tested. A simulated situation is provided, such as presentation to the board of directors or team training. Prep time is given to organise thoughts and create material for speaking in front of an audience, which consists of assessors. Quite a few organizations also use psychometric evaluations, followed by interviews, to determine strengths and weaknesses of candidates. Assessment centres are used in many industries, right from armed forces to banking, sales and management positions. They allow companies to test a large number of candidates in a relatively short amount of time and with a high predictive value over future job performance. When combined with computer aided testing, assessment centres help save time, and reduce the cost of manual interviewing. Computerised assessment centres are also considered accurate and unbiased, reducing conflicts about ethnicity and gender discrimination. Questions? Need advice? Contact us for FREE tips and information!